Happy news for those who are fans of both ambient music and knitting -- surely, I can't be the only one -- the patterns for the Buddha Machine Mittens and the Buddha Machine Socks are now available. If you're not familiar with the Buddha machine -- the wonderful little fetishistic device that it is -- right this way, please. 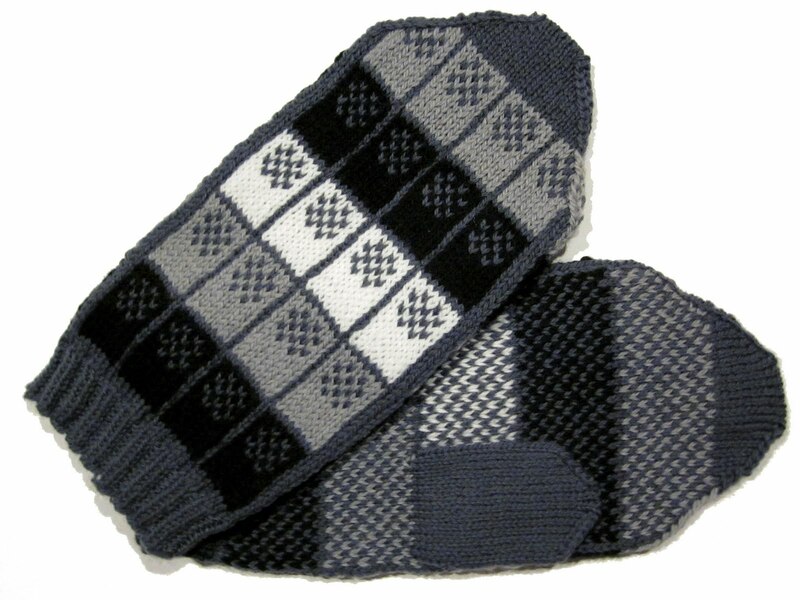 And here they are now, the mittens: ...and the socks. 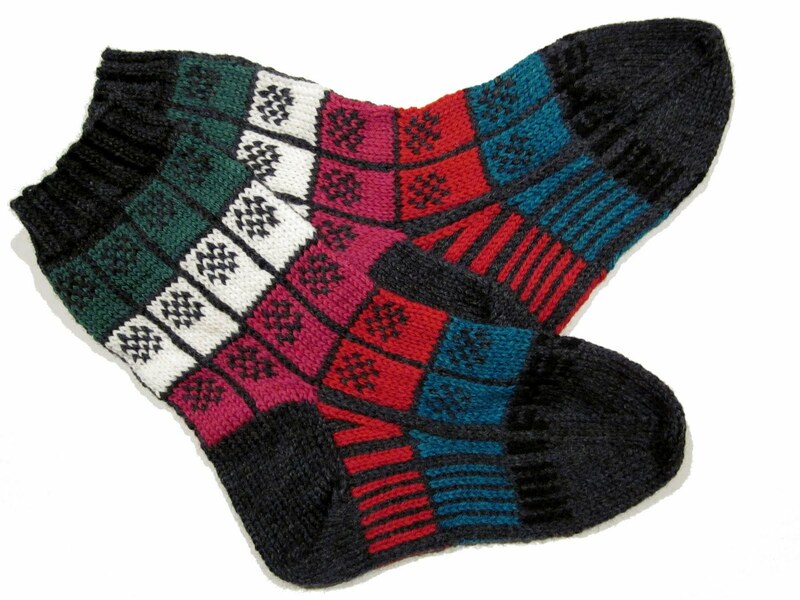 Pick up the patterns themselves by clicking the wee buttons beneath their respective images, or get them on Ravelry -- clear here for the mitts and here for the socks. With any luck they should be popping up in my Etsy shop shortly. And, of course, the mitts and socks shown above will soon be flying away to Hong Kong to live with Christiaan and Zhang -- the dudes behind FM3 (and the Buddha Machine) themselves. All in all this was a great project that I'm honoured to have been a part of. Next, please -- it never stops. Why should it? Amazing! Who'da thunk that crazy little box could inspire such cute patterns? May 18, 2011 at 12:03 p.m. Very neat and trendy looking! I like the gray tones especially. May 20, 2011 at 4:40 p.m.